[Mike Lu] likes to add serial ports to his routers to use for debugging but he didn’t want to drill holes in his new RT-N12. After a bit of head-scratching he thought about repurposing the four unused wires on one of the RJ45 Ethernet connectors. 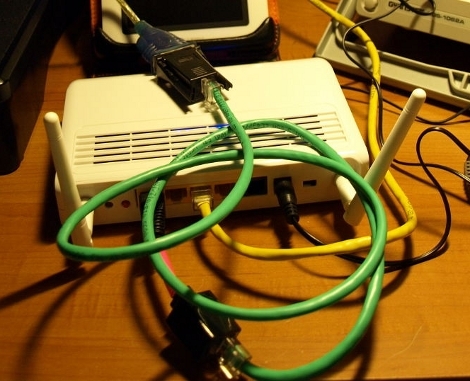 This would allow him to interface with the necessary signals and still have the option of using that port for a network connection. The first step was to build the circuit to output the correct serial levels and connect it to the unused pins on the jack. 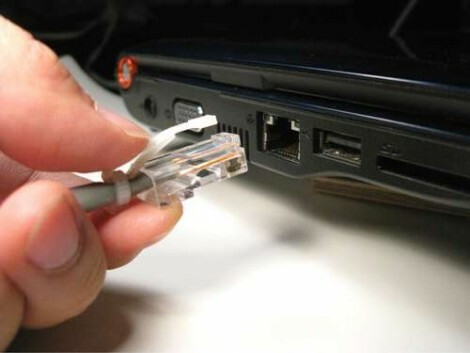 Next, to separate serial and Ethernet on the outside of the router he build a short adapter cable. This is an elegant solution if you’re looking for zero case modifications. But if you don’t mind a few inconspicuous holes we love the serial port used on this Dockstar.